With the month of November winding down and the holiday season approaching, stress will be on the rise and everyone will be staying incredibly busy. How do you keep everyone engaged and ready to take on your product or service? The holiday season is not just time to spend with family as it gives you an opportunity to advertise your business. You may be missing out on a beneficial opportunity If you are not taking advantage of the holiday season as a way to improve your marketing techniques. The holiday season is when people are constantly purchasing items for gifts, allowing you to make a good profit. There are multiple ways to increase marketing strategies. First, know your audience as this is one of the most important skills marketers need in order to be successful. Remember, the needs of your audience should be your top priority as this outlook will make you the best when measured up against the competition. 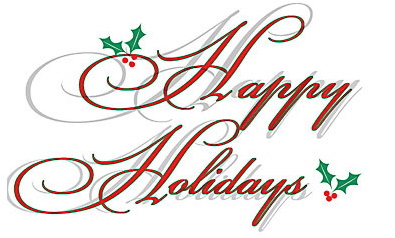 Always remember to wish your clients a happy holiday as you wouldn’t be successful without them. This can be done through the use of cards or gifts. Your clients will feel appreciated and value the contribution of your business, and at the end of the season, your bond with these people will be much stronger. Considering both online and offline marketing strategies can help your business by receiving the attention it needs. It is important to decorate your office or store as decorations will set the holiday spirit for your customer. Make use of technology! For those who do business online, changing the sites appearance according to the holiday will make them eager to start shopping. Visual displays come a long way and you will be surprised at how many clients will visit your site. Social media has also become one of the most powerful ways to promote your business. Overall, remember to be creative! Clients like a sense of individuality as well as to feel appreciated. The holiday season is not only about giving thanks to your family and friends but those that have helped you get to where you are as you would not be successful without them!